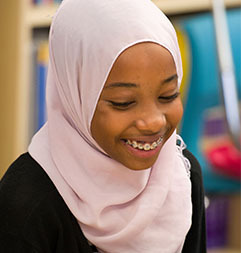 Middle-school learners are enrolled in core courses based upon their grade level and areas of strength or support needs. Math: Common Core Math curriculum for Course 1 (6), Course 2 (7), and Algebra 1 (multi-grade). Aligned with California Common Core and taught as a blended curriculum of English Language Arts (ELA) and History, using primary historical documents, historical narratives, historical novels and award-winning literature. All Nea learners are required to take an art or music elective each semester. Middle-school learners can enroll in as many other electives as their core schedule will accommodate, but are required to have a minimum of 6 Tree periods per week.